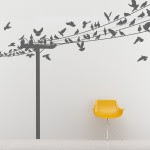 You may recognize her wall decals that have been circulating around the web, been pinned and featured on various website and blogs but maybe you don't know the creative genius behind Urbanwalls. Danielle Hardy, founder, owner and designer behind Urbanwalls, where "walls become your canvas"
Danielle, famous for her amazing decals, is not only a fabulous graphics designer but involved in the local blogging community as well. I met Danielle in the fall and have had many opportunities to get to know her at various blogging get togethers. We are also practically neighbours! A passionate and creative soul, Danielle is not only uber talented but can dress to kill. (I think she needs to come shopping with me some time to give me some pointers). Her sense of humour and positive outlook on life are infectious. She is incredibly fun to hang around with. When you first meet her you'd never know that she is the face behind the successful wall decal business, Urbanwalls. But her work is not all she focusses her attention on. 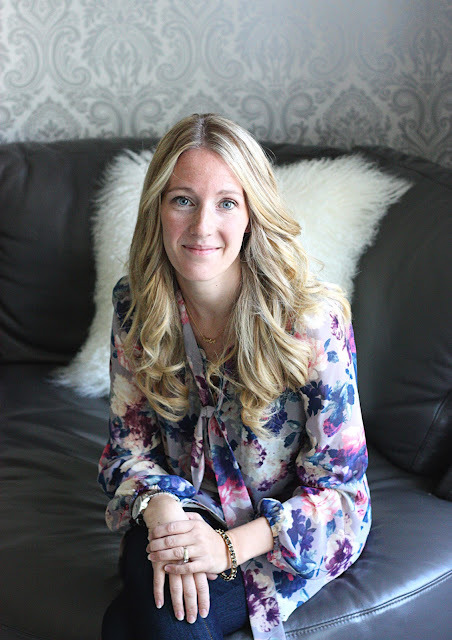 She is also passionate about human trafficking and works hard in being an advocate and creating awareness about the awful truth behind it. And somehow she manages all this while raising two boys with her husband.There doesn't seem to be a dull moment in her life. 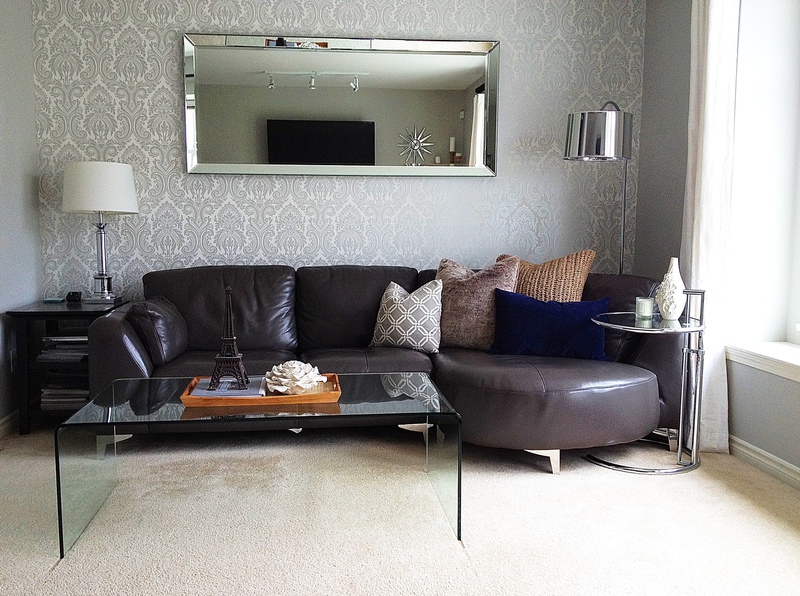 And photos of her amazing home. Tell us a bit about yourself? Did you study design in school? Where you always drawn to design growing up? I have always loved pretty things and making things look pretty. My mom would have been the first person to tell you that I spent more time making science projects look pretty then I did on the actual science project. After years of doing odd jobs and traveling I really wanted to settle down and find something that I loved to do and could do at a desk - sitting ;) I finally decided to go back to school to receive a diploma in marketing and communications. From there I continued on in my education of graphic and web design. All of the programs were extremely helpful to this day and I am continually amazed at how much they all go hand in hand for my present position. 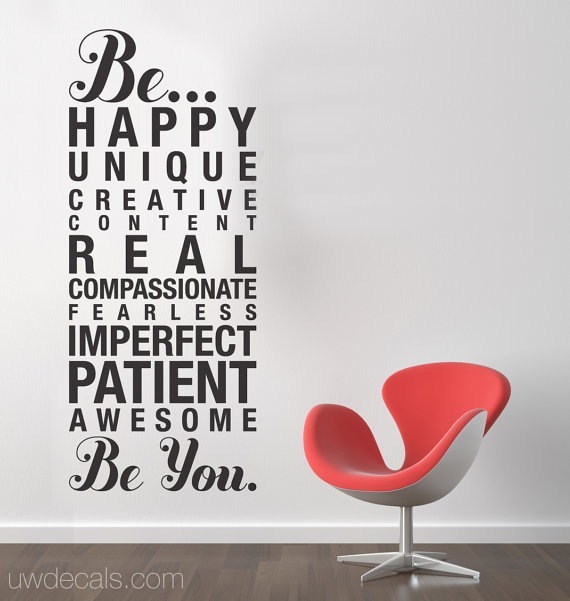 You are the owner and creative genius behind Urbanwalls, a wall decal business. 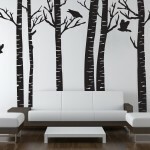 What made you decide to start a wall decal business? I get asked this a lot and I can honestly say that it was something that came to me. I didn't set out to do it and it just all happened very naturally. I had been working in the graphic design field for about 7 years at that point and was kind of bored but happy to have a job. 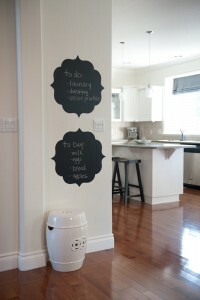 I had seen wall decals once and thought they were so cool and I had the machines in my home already for other purposes. I realized it was something that I could do with my creativity and resources. I heard about etsy through a friend and put a few listings up and I remember my first sale the very next day. I was shocked that it worked. Since then I have been so excited to create new designs, tackle the beast of social networking and meet many amazing people along the way. Where do you get inspiration for you designs? With the initial design process of my decals I spent the majority of my time thinking and dreaming of what I would like in my home and then also what I see as being something that people would like or need in their own home. I also am very blessed to be surrounded by some of the most amazing, talented and creative people and I find that it just sort of rubs off and inspires me as well. As a mother to two very rambunctious boys, how do you balance your business, life, blogging and parenthood? This would hands down be my biggest challenge in life. I am very thankful that I have been able to work from home and be with my boys at the same time. I get the best of both worlds. However, it is a constant juggling act and every day looks very different. I realize that I only get this time with my boys once and it remains at the forefront of my priority list so for now, I try to do the majority of my work when they go to bed. It makes for some very late nights and early mornings (these kids don't sleep in!!) but I know that it's a season in my life before they go to school so for now I do the best that I can and try to have fun with it all. What tips can you give other mom-prenteneurs out there? Anything you have learned along the way about being self-employed and working from home? I feel like I don't have tons of advise because I'm learning as I go but I can say that what I strive to do is put family before work. I can't count the amount of times that I am trying to design something and be creative but have a little one in the kitchen that spilled milk all over the floor and another one using the stairs as a slide. It's survival mode at this point and each man for their own. lol This would be why I wait to work when they are asleep. It just works better. Where would you like to see yourself in 2 years? Where do you hope your business to go in the next few years? I really didn't know that it would get to this point so I am totally open to whatever comes. 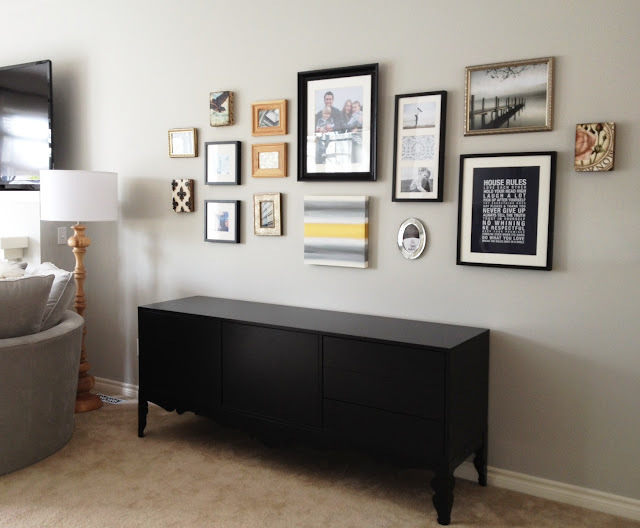 I would love to expand with other wall decorating ideas that float around in my head, as well as continue to develop my blog and find ways to expose my product. 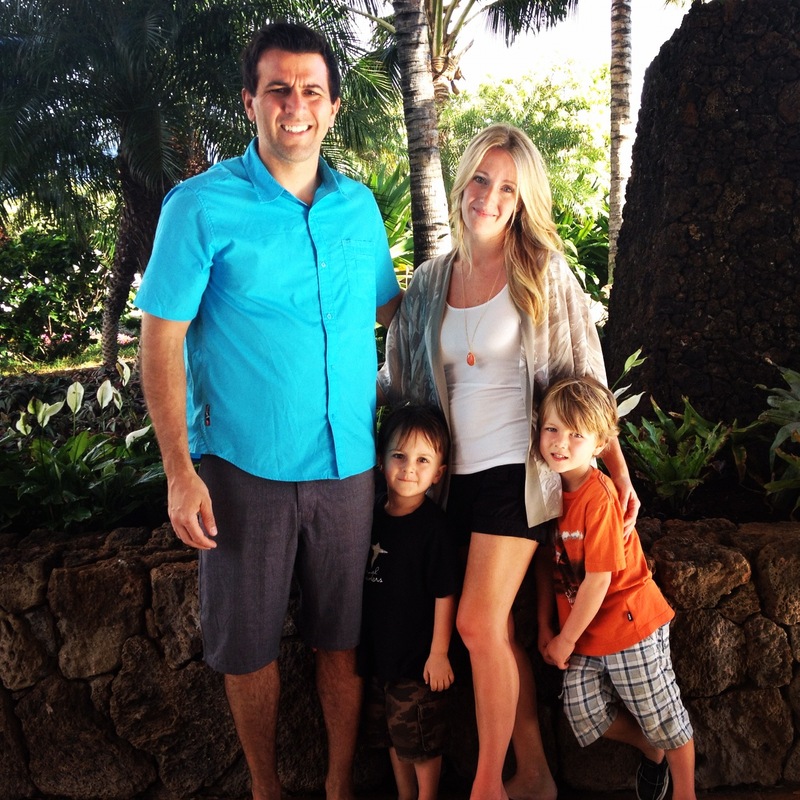 Why did you start a blog? And what have you enjoyed about blogging? What have you not enjoyed? I started my blog because I felt like I wanted to reach people some other way then "check out our new decal" or "look where my decal as been featured". I actually very rarely (if at all) post anything about my decals on my blog. It's just been fun to write and share about everything that inspires me. I have really enjoyed the people that I have met from blogging... brilliant, thoughtful, beautiful people. The only thing I don't enjoy is when I'm stumped on what to write because then it becomes a chore rather then a creative outlet. I love love love adventures with my family. Whether its riding our bikes through Stanley Park or a road trip to Seattle. We don't sit still and we determine to make memories that will last. I'm not sure that I can pinpoint one person that I would want to meet (besides Jennifer Aniston) but something that I would like to do would be to pack up the family and travel Europe for a few months. I am a junkie for exploring, learning about different cultures and just having an adventure. Many people would wait till their kids are grown and out of the house but something about chaos and whining would make for a perfect memory in my opinion. One day.. I feel like the ball in this area is just starting to get going. Canadians are too polite to shove their way to the top but I do know that our country is full of amazing talent, culture and backgrounds. We are very open to adapt to new ideas and ways of doing things and I think that very much sets us apart from the rest of the world. Danielle, you are such an amazing woman. Loved getting to know you this part year! So looking forward to seeing you soar! Beautiful post! 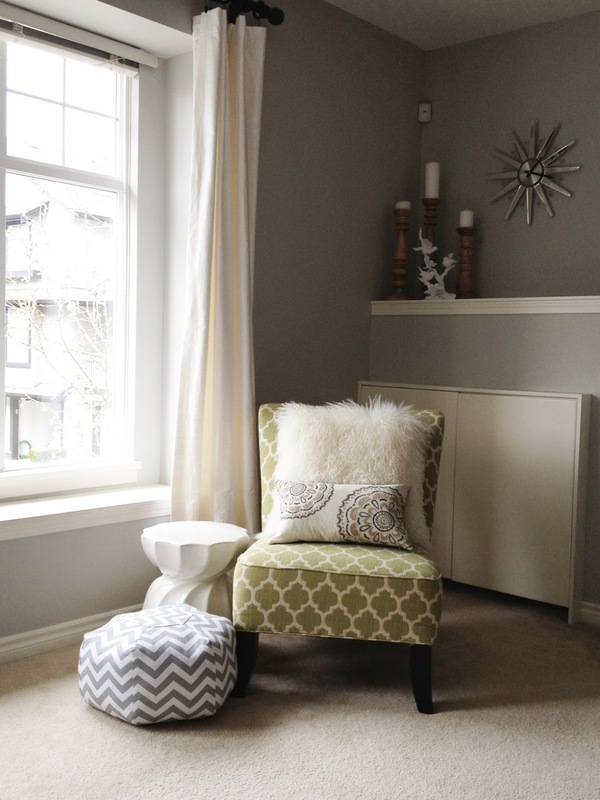 I love Danielle's work, her kind spirit and passion for design. Feeling so inspired right now. Hugs to both of you ladies ;) Happy Friday! Yay for Danielle!!!!!! I love our girl and the way she describes balancing life with two boys ........ "it's a season of her life" LOVE IT! So true to just accept it and do your best. As for Urban Decals ... her work is gorgeous and you know she loves what she does. As for her style it is amazing too, she's a hot mama. Great interview!! 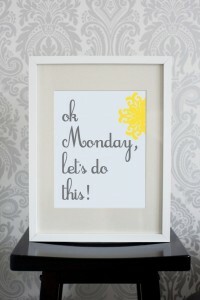 I love Danielle's blog and decals - very inspiring! I like what she says about adventures with her family, I love that and try to do that with my own life as much as possible. Thanks for sharing and have a great weekend. Love this interview Barbara! 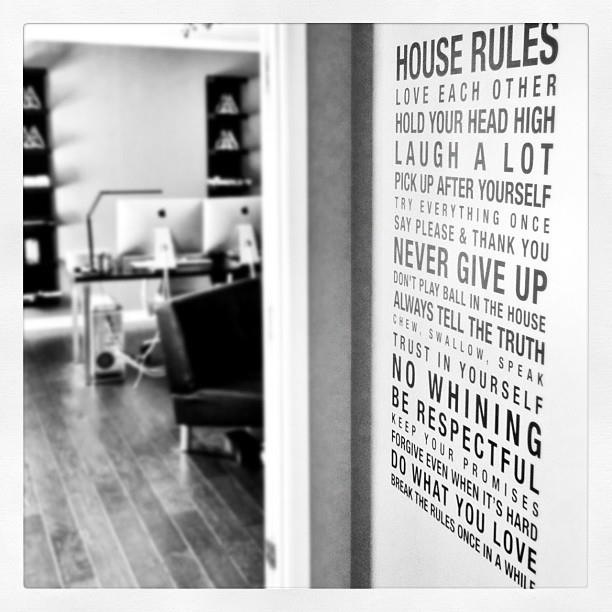 LOVE Danielle and her creative wall decals. She is just the sweetest thing ever AND has BETTER hair than Jennifer Aniston! Great interview, Barbara! Thank you for the introduction to this talented Canadian designer. Danielle sounds like such a warm and authentic person, and I'm looking forward to visiting her blog. Great interview - so inspiring! Danielle sounds amazing. Danielle is so sweet and talented!! I'm happy I've had the opportunity to get to know her. Fabulous interview! I absolutely love Danielle's work! She is such a talented girl and has a huge heart...an inspiration for sure!! Great interview! She is such an inspiration to all women! Such a sweet beautiful lady! With amazing talent!